I’ve been working in the desert for some 5 seasons doing botanical surveys. On a professional level, I love being on these mega-surveys that help collect important botanical and biological information about desert environments that are almost unexplored, untouched by human footsteps. I can’t share all of what I’ve seen, but truly, the desert is a living, thriving place. There is no doubt in my mind that desert biology is an acquired taste, and lets just say we have some fine vintages in Southern California. 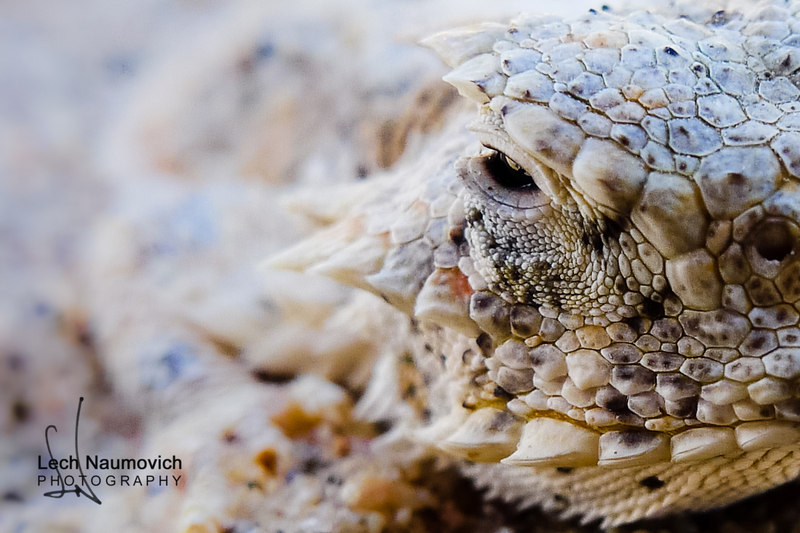 Up close and personal with the desert: Desert Horned Lizard. The more personal part of this work is understanding how our knowledge influences decisions, and notably conservation decisions. The parade of solar industrial complexes we plan on stamping into the desert will destroy hundreds of thousands of acres of habitat. Some of it will be truly special habitat, while some of it more akin to an old dirt-bike circuit. There seems to be a lot of habitat in between. 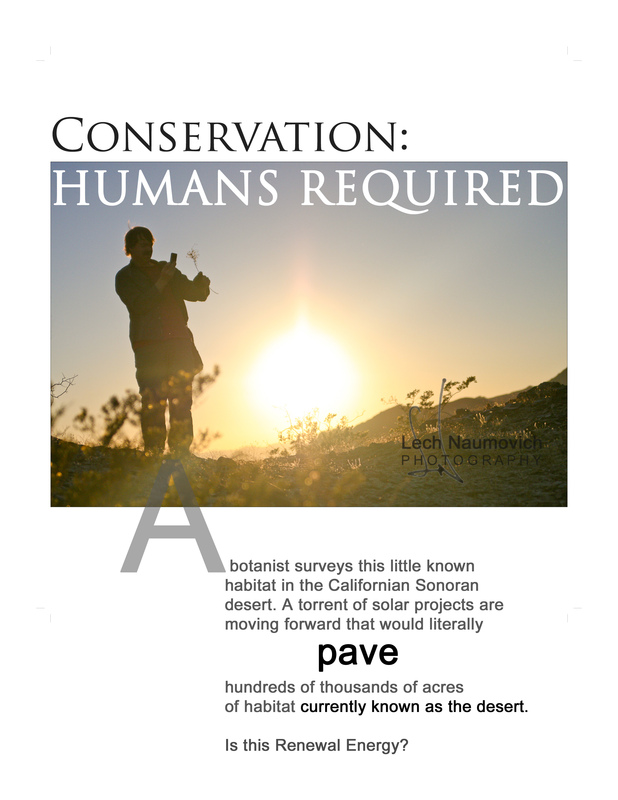 I continue to work as a botanist and biologist to best serve the desert. That service comes from understanding the desert, walking it foot by foot, mile by mile. I get to observe pristine desert, truly places where possibly no human has ever stepped. In those places, these private places in a vast sea of sand, life happens full of courage, struggle and vitality. There are no weenies in the desert. That said, it still needs a voice of reason. It also needs a Lorax. I think the Lorax arises from the ground crawling, belly-plant observing, crusty, sweat-ridden botanist that walks days upon days in the scorching September sun in search of some rare Chamaescye species that is hardly bigger than a GI Joe action figure. These are the stories, the voices that those who drive desks and budgets need to hear. This is what the Thomas Friedman’s need to hear also. There are probably serious impacts and tradeoffs, but few are discussing them in a language that is germane to the desert, and its survival. So here’s my pitch to the botanists out there, or any desert walker. We are the ones who must give the desert a voice, a soul, a heart that beats with cause. Go ahead and hug a botanist today! Beautifully written, Lech and such an important topic that sadly isn’t getting enough attention.